If you’re looking for a seasoned moderator that can moderate presidential and executive level conversations on global stage; you’ve come to the right place! Nozipho Mbanjwa moderates conversations with global impact. Simply put: she helps smart people have simple conversations that make the world a better place. The work that Nozipho Mbanjwa has done extends from global bodies like the World Bank, UN Women, the International Labor Organisation, and a range of blue-chip companies across the world. Her love for conversation also spills into academia. As a member of faculty for Duke Corporate Education and Duke University she was also afforded an opportunity to teach and facilitate leadership insights for high performance teams and organisations across Africa. I believe that Africa’s greatest opportunity for development lies in the continent’s human capital advantage. "I am deeply grateful for the opportunity to fuse conversation and leadership to create immersive learning experiences that have deep neurological impact." Her love for conversation also finds expression in her work as a broadcaster. Her team has received numerous awards in recognition of the work they do in telling the African business story through the lens of women, young people, and emerging business. 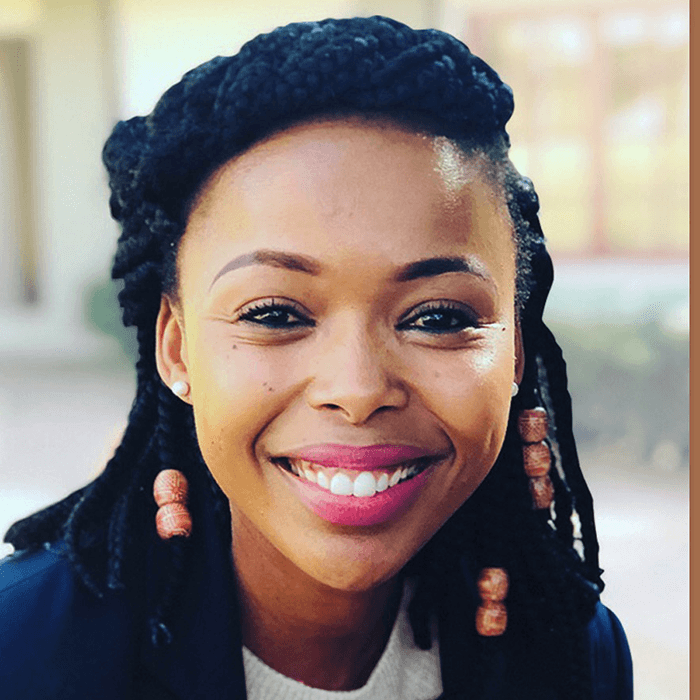 Nozipho Mbanjwa is a proud and unapologetic about leveraging both radio and television platforms to advocate for the inclusion of youth and women in the African economy. "I am appreciative of all the opportunities I have had to work deeply in African markets including spearheading the Tata Group’s Corporate Communications and Branding portfolio in 13 African countries in 2012." I would not be able to surface the deep insights that I am able to without the experience of working within government in South Africa. Joining The Presidency in 2006 has stood me in good stead to understand the workings of government and the developmental agenda that drives the realization of the aspirations of our societies. a Mandela 100 Leader of the future. I am thankful for the academic opportunities that have stretched and challenged both my mind and my lens of the world.